Sparking a new conversation around "climate leadership" - Oil Change U.S. 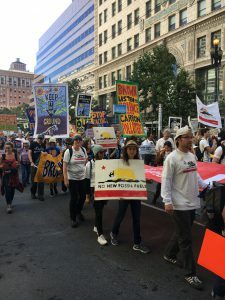 Ahead of the official GCAS gathering, 30,000 people marched through the streets as part of the global grassoots mobilization to Rise for Climate, Jobs and Justice. The march elevated two key demands: 1) No new fossil fuels; and 2) A just transition to 100% renewable energy. ermits for new oil and gas wells and other fossil fuel infrastructure in California, which disproportionately pollute low-income communities and communities of color. OCI’s recent report, The Sky’s Limit California, exposed that the Brown administration has issued more than 20,000 permits for new oil and gas wells in the last eight years. A resounding message rang through the streets: Climate leaders don’t help dig up more fossil fuels — they help keep fossil fuels in the ground. This “no new fossil fuels” message broke through like never before and became a key part of media reports and conversations coming out of the march. 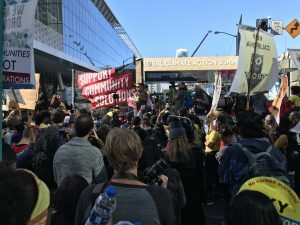 At the official GCAS summit, communities impacted by California’s long legacy of oil and gas drilling disrupted the entrance, protesting Governor Brown’s lack of leadership towards a just phase-out of extraction. 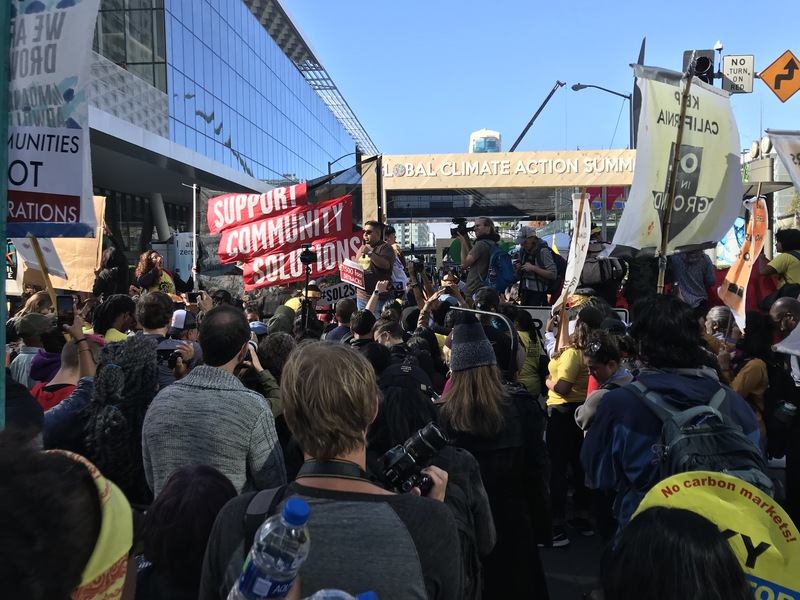 We took to the streets with partners in the Brown’s Last Chance Coalition, the It Takes Roots Coalition, and local organizers from Idle No More SF Bay and Diablo Rising Tide, taking over the intersections outside the conference center. The action garnered widespread press attention and confronted summit participants with a critical challenge: Given the world already has an oversupply of fossil fuels, how will they lead in the wind down of oil, gas, and coal extraction? As we look back on GCAS, one can focus on high-level commitments to finance renewable energy, reduce emissions from power plants, and other laudable but ultimately insufficient efforts. But with a broader view, it’s clear that the call to keep fossil fuels in the ground is picking up steam and leaders ought take notice.